Afternoon leave for Alleppey , Half day sightseeing by Houseboat ( on own). Overnight stay in Kumarakom. Morning depart by surface for Kovalam approx. 140 kms / 4 hrs. 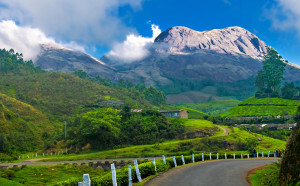 Arrive Trivandrum in noon & sightseeing Trivandrum. Arrive in poovar and you will be transferred to the hotel. Evening your Leisure. Overnight at the hotel.